The New German Republic (NGR) is surrounded and besieged by the hostile Gargoyle Empire – an empire of giant monsters. 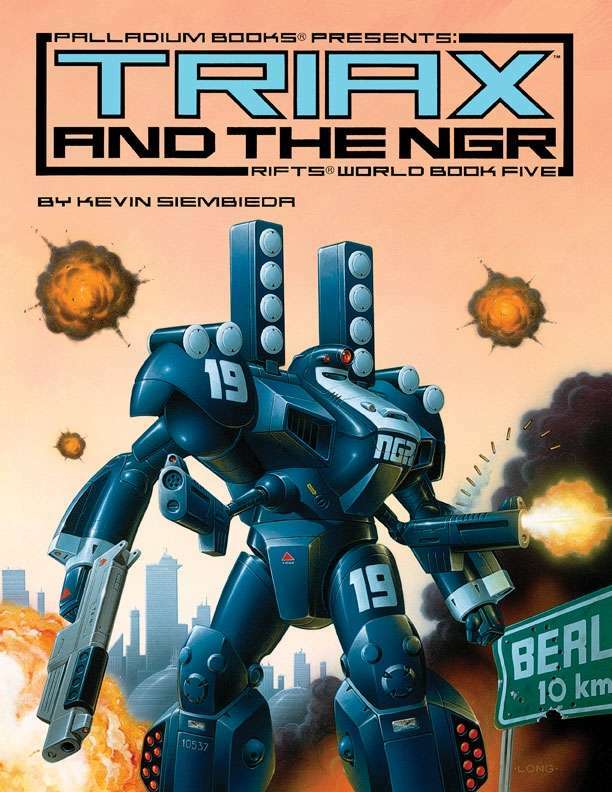 Only the superior robotics and weapons technology of Triax keeps the monsters at bay, but for how long? This epic World Book presents the Triax robots, power armor, cyborgs, and world setting that is Rifts Germany and surrounding region.